This comprehensive analysis of Natalie Novak's case was published by Dawn & Ed Novak on May 3, 2010. It takes a systemic view of the events that led up to Natalie's murder in 2006 at Ryerson University in Toronto. The document was presented at Queen's Park, and has been used as a resource in policing courses at Wilfred Laurier University as well as the police colleges in Aylmer and Orillia. Read the document here: A Constructive Analysis of the Murder of Natalie Novak. 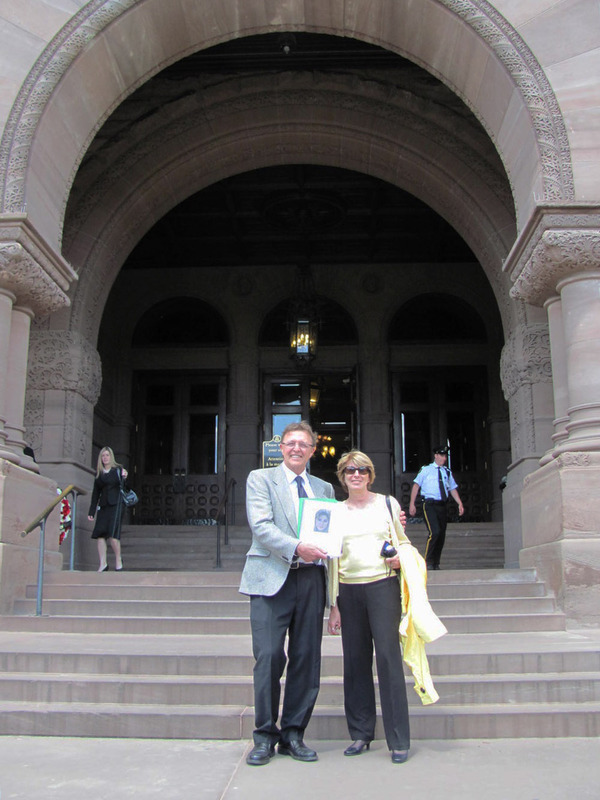 Ed and Dawn Novak present their document at Queen's Park, 2010.